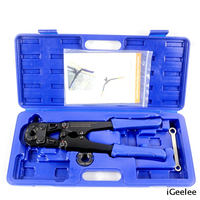 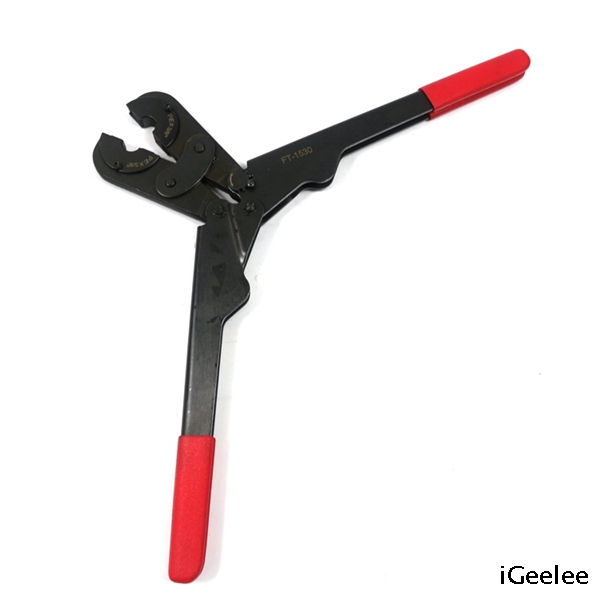 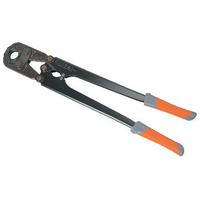 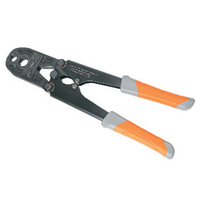 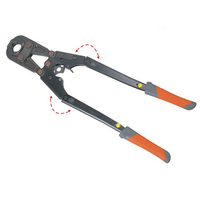 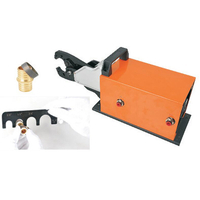 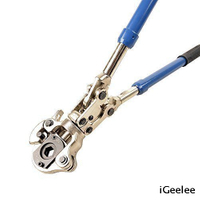 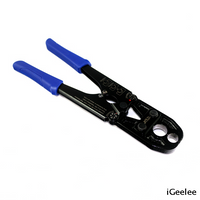 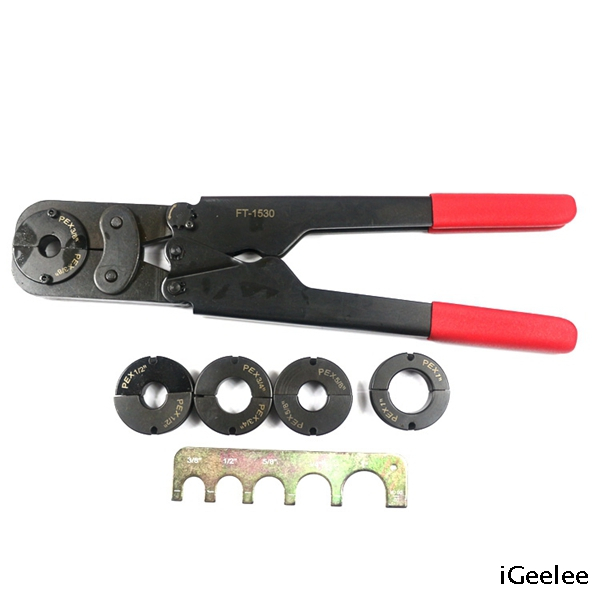 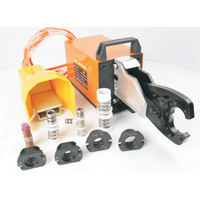 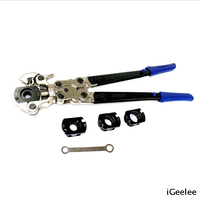 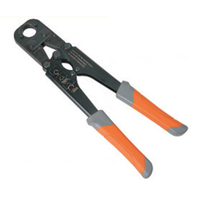 1) Mechanical crimping tool for connecting fittings with pipe. 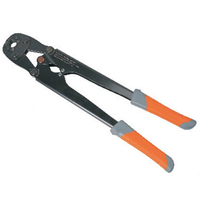 2) Crimp XPAP, PEX with fittings up to 30mm. 16" x 5" x 2"
The comfortable grips help reduce fatigue and make crimping effortless. 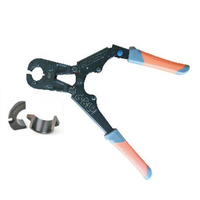 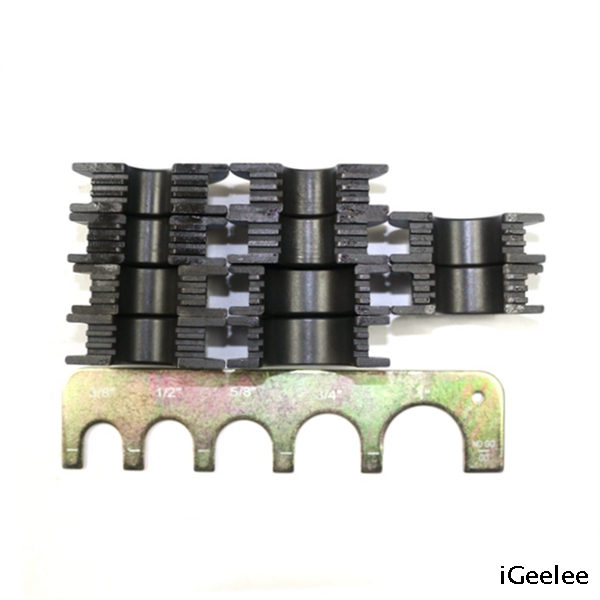 This full kit gives you the ability to crimp from 3/8" up to 1" utilizing 5 different crimp dies. 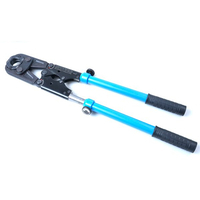 The size and weight of this PEX combo tool give it the ability to access tight spaces without a problem. 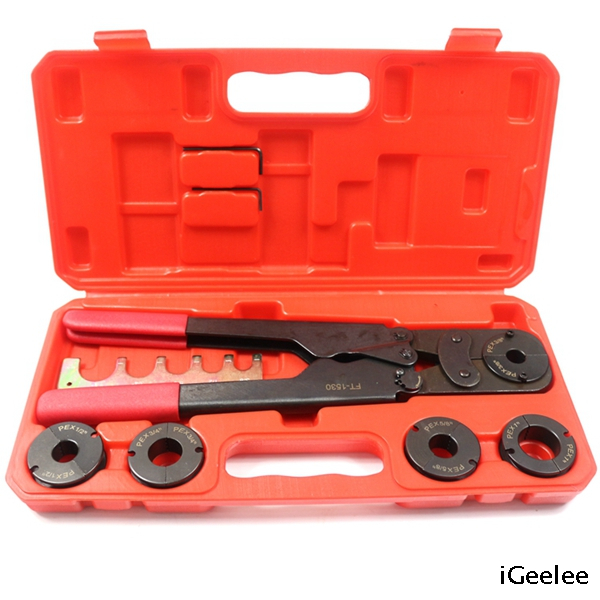 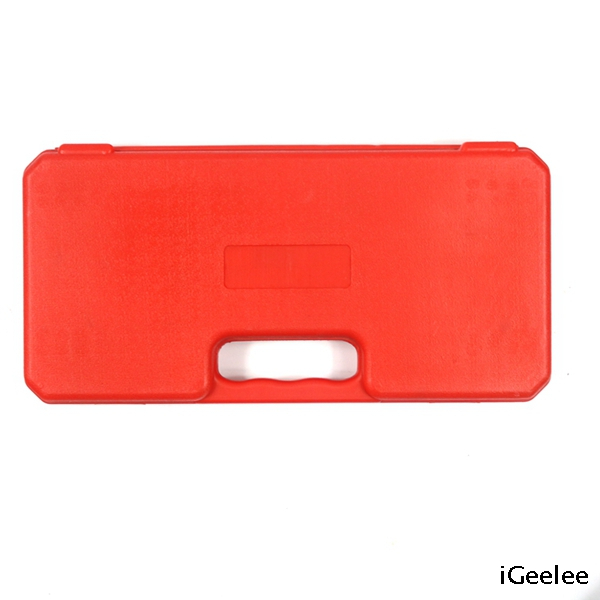 Comes in a convenient carrying case to hold PEX crimp tool and dies. 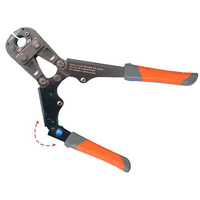 The standard method for connecting PEX pipe tube to brass PEX fittings uses a copper crimp ring and a PEX crimping tool. 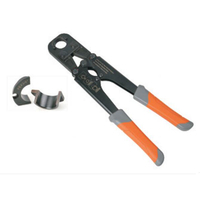 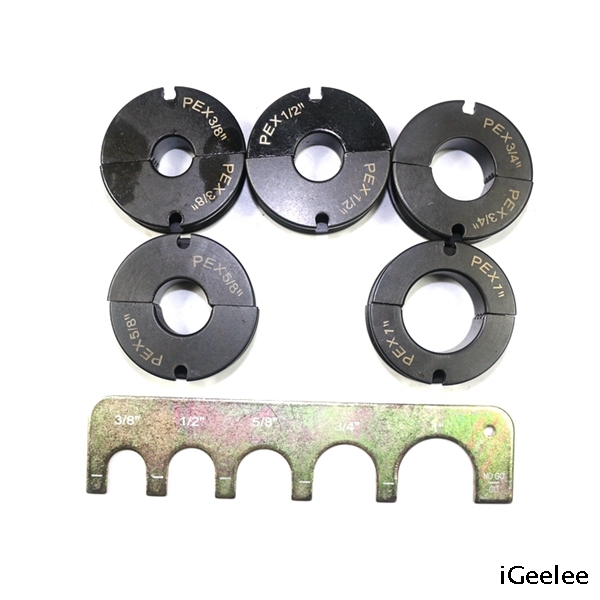 The copper crimp ring is inserted over the pipe, the fitting is inserted inside the pipe, and the copper ring is crimped over the pipe and fitting using the PEX crimping tool.